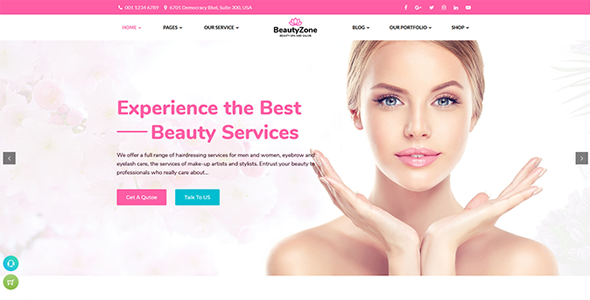 BeautyZone : is a unique design template which is crafted specially for beauty, spa centers , cosmatics firms, parlor businesses. 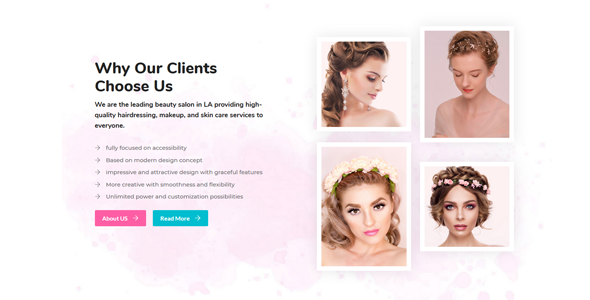 Good Choice to make perfection in your salon businesses dynamically with the best theme “BeautyZone” which is based on the most versatile WordPress platform. Soft and classic color make this theme standard and stylish. This is suitable for all types of salon, spa and parlor business. If you are looking inside pages of this theme which is necessary for your online shop, crafted carefully and creatively. Look beautiful and elegant, whatever device you chose for your theme. 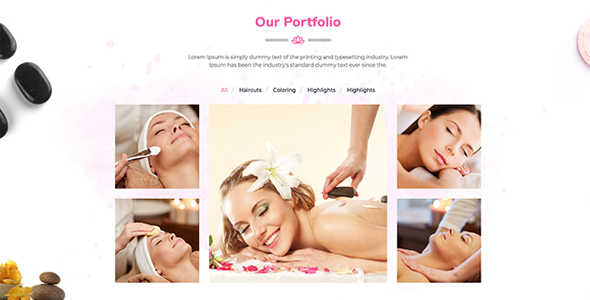 This theme have 2 Home Page, stunning other pages like about us, booking, team, services, service details and much more when you open this theme. Additionally, shop and blog pages are provided in different variety which is help to promote your business product. Necessary pages that require for any salon business are perfect package to raise your great business. 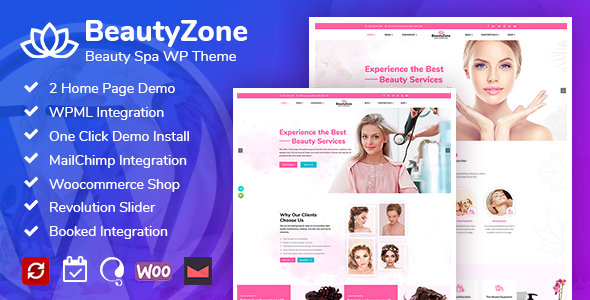 BeautyZone: is modern and super simple, 100% responsive, 100% pixel perfect and comes packed with awesome template features for example; awesome color schemes, creative slider element, CSS3 animations and much more.! Send your queries on https://w3itexperts.ticksy.com/ for any issues or problem you are facing regarding this product.